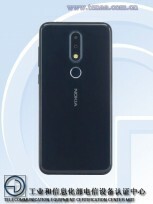 Next Wednesday HMD Global will unveil the Nokia X, also known as Nokia X6. The phone is expected to be the first phone of the company with a notch on the screen, according to plenty of leaked images and videos. The device with a model number TA-1099 was listed on TENAA, revealing all its key specs. The Nokia X will come with Android 8.1 and will have an octa-core CPU, clocked at 1.8 GHz. The TENAA listing does not mention a specific chipset, but the clock speed matches that of Snapdragon 636. The fact that Nokia X is expected to be a middle ground between Nokia 6 (2018) (Snapdragon 630) and Nokia 7 plus (Snapdragon 660) makes this even more plausible. There are three RAM options - 3/4/6 GB, while the storage is either 32 GB or 64 GB. 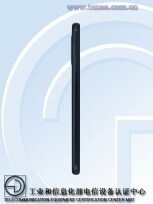 The screen of the Nokia X will have a cutout for the selfie camera and the earpiece, making the screen ratio 19:9 with a resolution of 2280x1080 pixels and will be 5.8” in diagonal. The phone itself will stand at 147.2x71x8 mm, staying close to Nokia 6 (2018). There is a dual camera setup on the back, with the primary snapper being 16 MP. The listing does not reveal the secondary sensor, but we know that the selfie cam will also be 16 MP. Nokia X will be offered in Blue, Black, and Silver colors with a sealed in 3,000 mAh battery. Expected price is around $250/€200, but we’ll be know for sure on May 16, when the phone is official. Taiwan , officially the Republic of China (ROC) according to wiki , So calling it Chinese or Taiwanese makes no difference. End of the day it's still Chinese. Asus is identified as a Taiwanese company, not Chinese. If such a simple distinction is not clear to you, then no wonder who's the fool here.